Arrived on Tosari pos at 2 am, our customer get ready to go to bromo by using jeep 4wd. The 1st destination visit penanjakan 1 for enjoying sunrise on the hill. Then go to sand of sea and go to bromo crater. 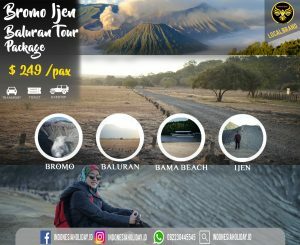 The next destination is pasir berbisik, you can tak some photos with bromo mountain as a background. And last destination we will go to savana hills.  After exploring bromo mountain we will go to banyuwangi, need 6-8 hours trip. In the night having lunch and check in hotel. Morning call at 1 am, preparing to ijen by using a car and continue by trackking to ijen crater. Arrive on paltuing pos and meet with local guide. Then continue hiking for 2 hours. In the top of ijen crater we can explore to find blue fire. Blue fire only available 2 places in the world Ijen Indonesia and Islandia. After visiting ijen we go to hotel for having diner and take a shower. Continue the trip to Baluran National Park, Baluran National park looks like savana in Africa, there are lot of animal you can see during the trip. After visiting baluran we go back to Surabaya and finish for this trip.